The wrapper is wound round the filler and binder in a spiral fashion, and the cap is pasted onto the end to prevent it unravelling. The idea is to leave enough of the cap still on there so the wrapper is still held in place, and stopped from unrolling. 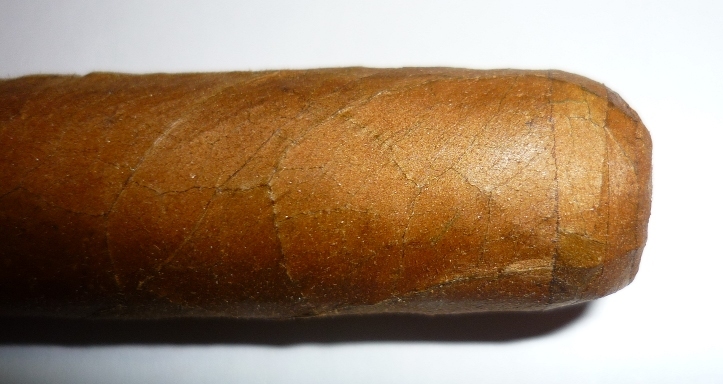 Your cutter should be sharp, and preferably of the double-blade guillotine design. 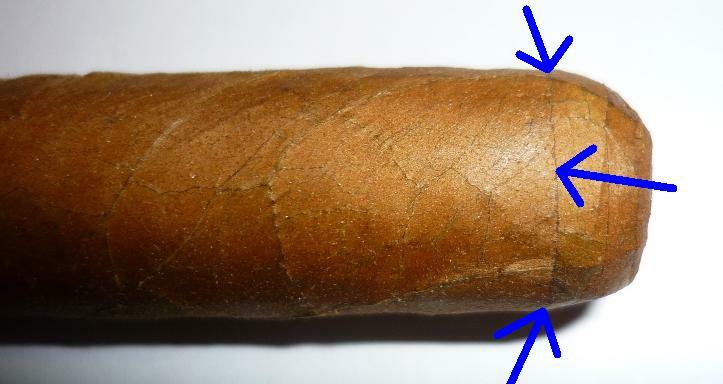 Align the cutter and the cigar correctly and when you are sure you are in the right place, cut quickly and smoothly. The blue lines indicate the edge of the cap, the red lines indicate where I would cut. If you’re looking for a nice cutter, I would wholeheartedly recommend the Palio. A range of colours are available from eBay UK below! Palio Cigar Cutter WHITE La Aroma de Cuba Logo! New! Free Shipping! Palio Cigar Cutter WHITE La Aroma de Cuba Logo! New! Free Shipping! SAVE 80%!! Palio Cigar Cutter GLOSSY BLACK! COMACHO Logo! New! Free Shipping! SAVE 66%!! NIB Palio Cigar Cutter - Black Matte. Free Shipping!